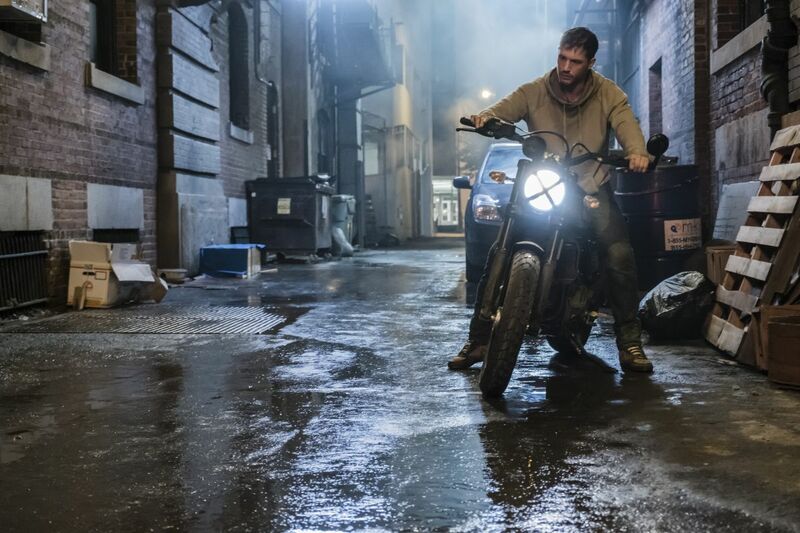 During the Sony Pictures panel at Comic Con Experience 2017 in Sao Paulo, Brazil, Venom director Ruben Fleischer appeared in a video from the set of the film along with star Tom Hardy to tease their new movie. Collider was present at the event and brings word of the beans that were spilled, as Fleischer confirmed that the film is based on not one but TWO comic book storylines: Venom: Lethal Protector and Planet of the Symbiotes. The Lethal Protector storyline was first published in 1993 and was written by David Michelinie with art by Mark Bagley, Ron Lim and Sam DeLarosa. In the series, Venom went from outright villain to cultural anti-hero and moved his escapades away from New York to the city of San Francisco. Furthermore, Venom is kidnapped by the infamous Life Foundation where they’re able to create five “offspring” from Venom to make their own symbiote super soldiers. In the closing of the story, Venom teams up with Spider-Man to take down the other symbiotes. The Planet of the Symbiotes storyline was published two years later, penned once again by Michelinie, and saw Venom teaming with Spider-Man and the Scarlet Spider to investigate some Symbiote-related murders that he believed to be committing himself. Upon further investigation, the trio discover it’s the five symbiotes from the Lethal Protectotor storyline who are building a teleporter to another planet already overridden with Symbiotes. To make things even more interesting, the serial killer Cletus Kasady being released from prison and bonding once again with the Carnage symbiote. It remains to be seen how these two storylines will be adapted into one feature film, and whether Tom Holland’s Spider-Man will actually appear in the film or not as previous rumors said, but sound off with your thoughts on the film in the comments below! Co-starring with Tom Hardy in the Venom movie are Michelle Williams, Riz Ahmed, Reid Scott, Jenny Slate, and Scott Haze. Writers Scott Rosenberg (Pain & Gain, Jumanji), Jeff Pinkner (The Amazing Spider-Man 2) and Kelly Marcel (Fifty Shades of Grey) wrote the script for Venom, which has Ruben Fleischer (Zombieland, Gangster Squad) directing. It will not be a part of the Marvel Cinematic Universe. Avi Arad and Matt Tolmach are producing the movie, along with Amy Pascal. Venom is scheduled for an October 5, 2018 release.